Geocycle offers waste treatment solutions based on a unique industrial process called co-processing. It refers to the simultaneous recycling of mineral materials and recovery of energy within one single industrial process: cement manufacturing. The mineral part of the waste replaces primary mineral materials (such as limestone, clay or iron) and the combustible part provides the energy needed for the clinker production. As a result, 100% of the waste input is recycled or recovered without producing any additional residue. The technology used also ensures a performing destruction of toxic components. 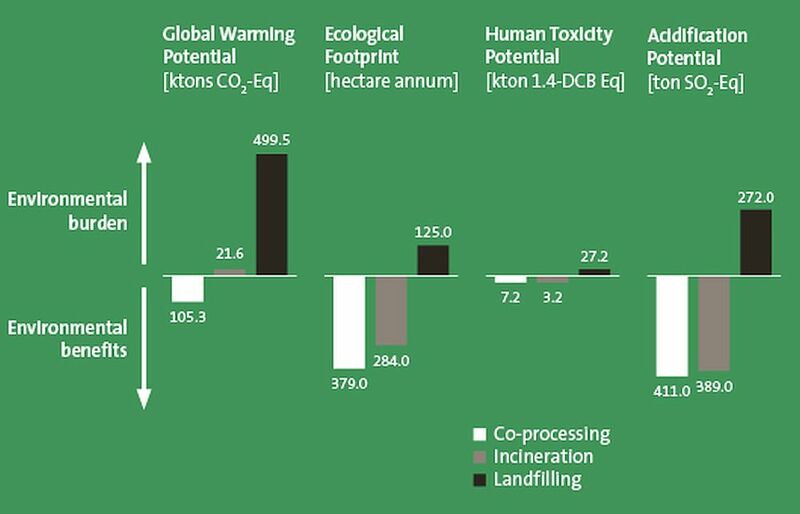 Co-processing achieves a superior environmental performance as compared to landfill and incineration which is demonstrated by life-cycle assessment studies. Co-processing is recognized by the UNEP Basel Convention as a practical, cost efficient, safe and environmentally preferred option compared to other waste treatment options. To know more about our co-processing operations, please have a look at the video.